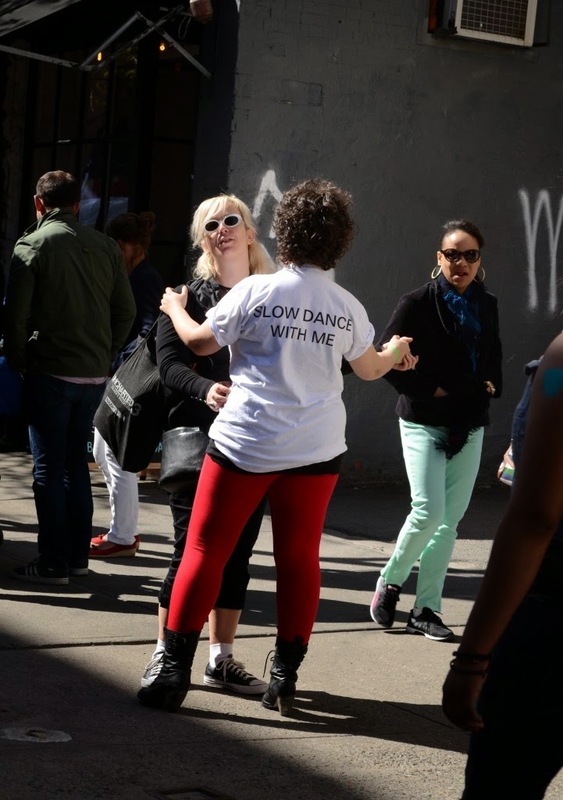 Art In Odd Places will present the performance Slow Dance by Katya Grokovsky October 9-12 at 14th Street, Avenue C to the Hudson River, in Manhattan. Grokhovsky has a background in dance, and having been trained in classical ballet while growing up in the Ukraine, she integrates undulating choreography into both performance and visual media. In Slow Dance, she seeks bravery, camaraderie and risks by inviting the public to dance with her. Do stop by to tango with one of New York City's most endearing artist! Copyright Diana Buckley 2014. Simple theme. Powered by Blogger.